Xi’an Xinsilu International E-Commerce Industrial Park Co., Ltd. Located at No 9 Gangwu Avenue in the Xi'an International Trade and Logistics (ITL) Park, Xi'an Xinsilu International E-Commerce Industrial Park was built by Shaanxi Aoda Enterprise Group and cost 1.98 billion yuan ($296.39 million). It was one of the first enterprises in the park and its first industrial park focusing on the management of e-commerce industrial chains. It has a planned area of 1,026 mu (68.4 hectares) and 162 mu have already been completed. Its total construction area is 250,000 square meters. 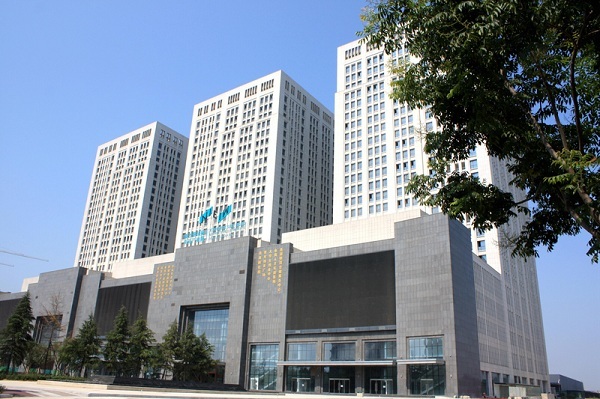 It is currently the largest e-commerce industrial park and innovation and entrepreneurship incubator in Northwest China. It consists of office buildings, logistics warehousing, a maker square, and a road show center, and works to develop small and micro enterprises while providing training for college students, product displays, etc.